NAV, Heated Seats, Alloy Wheels, Tow Hitch, Remote Engine Start, WiFi Hotspot, Onboard Communications System, Back-Up Camera AND MORE! Heated Driver Seat, Back-Up Camera, Onboard Communications System, Aluminum Wheels, Remote Engine Start, WiFi Hotspot, Heated Seats Keyless Entry, Steering Wheel Controls, Heated Mirrors, Electronic Stability Control, Bucket Seats. LPO, ASSIST STEPS, CHROME, 5" RECTANGULAR, AUDIO SYSTEM FEATURE, BOSE PREMIUM 7-SPEAKER SYSTEM, AUDIO SYSTEM, 8" DIAGONAL COLOR TOUCH SCREEN NAVIGATION WITH INTELLILINK, AM/FM/SIRIUSXM with USB ports and auxiliary jack, Bluetooth streaming audio for music and most phones, hands-free smartphone integration, Pandora Internet radio and voice-activated technology for radio and phone; featuring Apple CarPlay capability for compatible phone, DRIVER ALERT PACKAGE includes (UEU) Forward Collision Alert, and (UFL) Lane Departure Warning, TRAILERING PACKAGE includes trailer hitch and 7-pin connector, TRANSMISSION, 6-SPEED AUTOMATIC (STD), ENGINE, 3.6L SIDI DOHC V6 VVT (305 hp [229 kW] @ 6800 rpm, 269 lb-ft of torque [365 N-m] @ 4000 rpm) (STD). 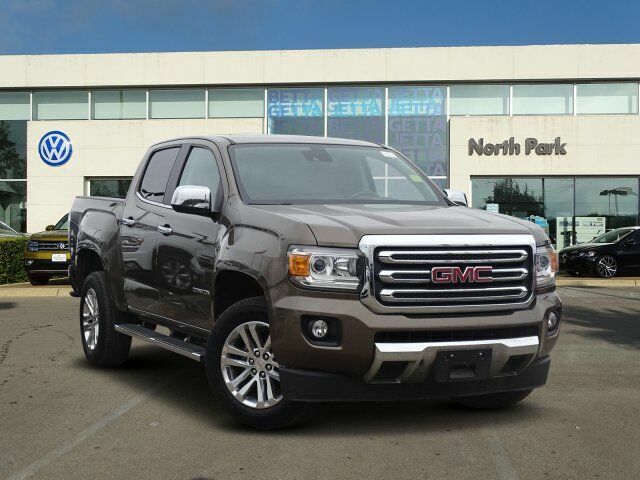 GMC 2WD SLT with BRONZE ALLOY METALLIC exterior and COCOA / DUNE LEATHER APPOINTED FRT SEATING interior features a V6 Cylinder Engine with 305 HP at 6800 RPM*. Edmunds.com's review says "Seat comfort is excellent up front, even on long drives, and if you're on the tall side Great Gas Mileage: 26 MPG Hwy.